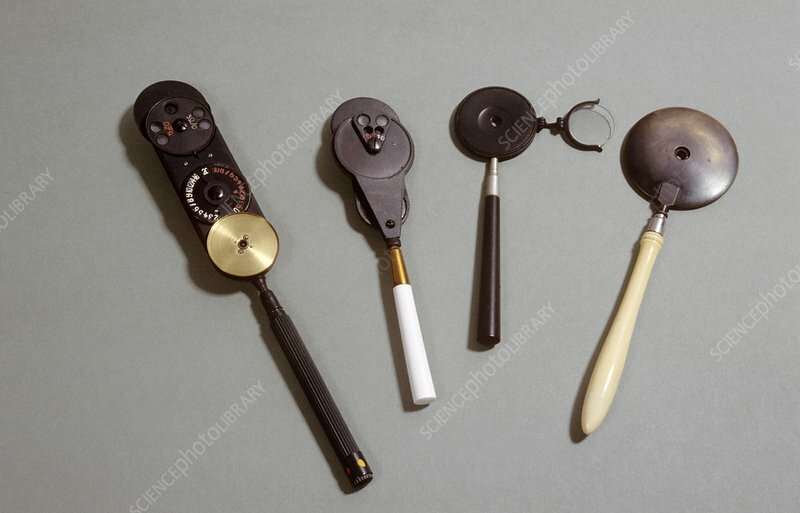 Three ophthalmoscopes and a retinoscope with ivory handle. These devices are used for examining the inside of the eye and the retina (the back of the eye). Early ophthalmoscopes were introduced in Britain in the 1850s. These instruments are English and date from between 1870 and 1890.